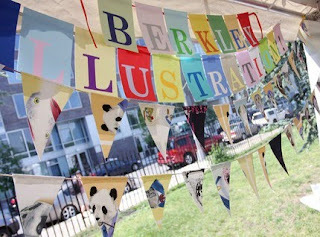 …I love these party banners from Berkeley Illustration. What a gorgeous way to reuse your mistakes! That IS a pretty cool idea! 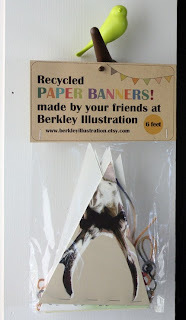 :) I wish I had a printing press and lots of mistakes to make a banner with. I was surprised and happy to see them in one of my magazines last week. With good reason, it seems like he's going places! I know, those are great! I saw them when I did the giveaway, but they were sold out of them at the time.